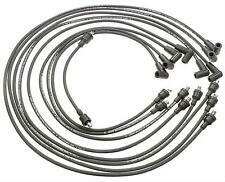 DAEWOO KALOS LANOS & CHEVROLET KALOS IGNITION LEAD SET. DAEWOO KALOS (KLAS) 1.4. DAEWOO KALOS Saloon (KLAS) 1.4. CHEVROLET KALOS 1.4. CHEVROLET KALOS Saloon 1.4. DAEWOO LANOS (KLAT) 1.3. DAEWOO LANOS (KLAT) 1.5. 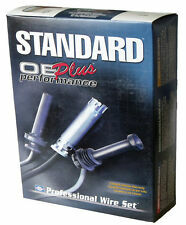 V8 IGNITION WIRE SPARK PLUG WIRE LEAD PRO SERIES. Fits Chevrolet engines with the points type ignition systems. CHEVROLET 1955-1974 POINTS TYPE. Jacket Material – Silicone Spark Plug and Coil/Distributor Boots. Motorcode E und J bzw. 1999-2003 PONTIAC GRAND AM 3.4L 207CID V6 OHV, VIN E (FWD)2000-2003 CHEVROLET Trans Sport 3.4L 207CID V6 OHV, VIN E. 1999-2003 BUICK CENTURY 3.1L 189CID V6 OHV, VIN J (FWD). Premium-Qualität für diejenigen, die höchste Qualität und Leistung verlangen. 1998-2002 Chevrolet Camaro 350CI 5.7L V8. 2010-2014 Chevrolet Camaro 376CI 6.2L V8. Ignition Wire Set. 1998-2004 Chevrolet Corvette 350CI 5.7L V8. 2001-2004 Chevrolet Corvette 350CI 5.7L V8. 2009-2013 Chevrolet Corvette 376CI 6.2L V8. 1976-1982 Chevrolet Corvette 350CI 5.7L V8. Ignition Wire Set. Standard Motor Products. 1957-1975 POINTS TYPE. Chevrolet 283, 307, 327, 350, 400 engines 1957-1975. This set will fit the pre-1975 point type distributors. WIL NOT FIT HEI DISTRIBUTORS. 1982-1986 Chevrolet Camaro 305CI 5.0L V8. Ignition Wire Set. 1981-1985 Chevrolet C10 2 W.D. Pickup 305CI 5.0L V8. 1981-1985 Chevrolet C10 2 W.D. Pickup 350CI 5.7L V8. 1981-1985 Chevrolet C20 2 W.D. Pickup 305CI 5.0L V8. CHEVROLET V8 IGNITION WIRE SET. PRO SERIES 8MM. Spark Plug and Coil/Distributor Boots. Fits all Chevrolet small block engines with HEI distributors 283-305-327-350-400. Pro Series; OE Equivalent with OE Style Boots & Silicone Wire. 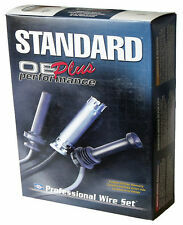 Standard Motor spark plug wire sets will provide your ignition system with new life. Spark Plug Boot Color: Black. Spark Plug Boot Material: Silicone. PONTIAC FIREBIRD 1989-1992. CHEVROLET CAMARO 1989-1992. Race Spec Performance Ltd. Cable Length: 95, 95, 95. Version: Resistive cable. Failure to do so will void your warranty. Chevrolet Astro V6 4.3L 1996 - 2005. Chevrolet S10 Pickup V6 4.3L 1996 - 2004. Chevrolet Blazer V6 4.3L 1996 - 2005. Ignition Wire Set. Abbildung kann abweichen. passend für Zündkabelsatz / Neu. Zündleitungssatz Silikon Satz für DAEWOO CHEVROLET. Prüfen Sie welches Teil im Fahrzeug montiert wurde und mit dem Foto vergleichen. Das Zündkabel ist 10,5" = 26,67 cm lang! Marke Modell Motor. Bj 2005-2009 mit 4,8L 5,3L 6,0L 6,2L 7,0L V8 Motor. Genaue Fahrzeugdaten siehe unten. IMPALA, CORVETTE, GMC YUKON, SIERRA, SAVANA, PONTIAC G8, GTO, SAAB 9-7X und andere. 1984 Chevrolet Corvette 350CI 5.7L V8. Ignition Wire Set. Standard Motor Products. 1996 Chevrolet Corvette 350CI 5.7L V8. Ignition Wire Set. Standard Motor Products. Engine vin code '5'. 1996-2001 Chevrolet Astro Van 262CI 4.3L V6. 2002-2005 Chevrolet Astro Van 262CI 4.3L V6. 1996-2002 Chevrolet S10 2 W.D. Blazer 262CI 4.3L V6. 2003-2005 Chevrolet S10 2 W.D. Blazer 262CI 4.3L V6. 1996-2002 Chevrolet S10 2 W.D. Pick-up 262CI 4.3L V6. Ignition Leads. Number of Leads. Helpful Links. 11.1 Product images are for illustrative purposes only. Applicable Law. Data Protection. 8.2 Nothing in these conditions excludes or limits the liability of the Supplier for death or personal injury caused by the Suppliers negligence or fraudulent misrepresentation. Ignition Cable Connector Type SAE; Resistive Ignition Cable. CHEVROLET SPARK (M300) 1.0 Hatchback Petrol 03/2010 on FWD 16 68 50. CHEVROLET SPARK (M300) 1.2 Hatchback Petrol 03/2010 on FWD 16 82 60. CHEVROLET SPARK (M300) 1.2 LPG Hatchback Petrol/Petroleum Gas (LPG) 03/2010 on FWD 16 82 60. VE522147 Ignition Lead Set fits CHEVROLET DAEWOO VE522147 Ignition Lead Set fits CHEVROLET DAEWOO. NOTE1 : Part Number - VE522147. > Ignition Coils & Modules. > Ignition Leads. > Air Mass Sensors. The range includes. Ignition Wire Set. 1968-1969 Chevrolet C10 & K10 Pickup 6.5L. 1968-1969 Chevrolet C20 & K20 Pickup 6.5L. 1968-1969 Chevrolet C30 & K30 Pickup 6.5L. 1969-1972 Chevrolet C10 & K10 Pickup 6.6L. 1969-1972 Chevrolet C20 & K20 Pickup 6.6L. 1966-1969 Chevrolet El Camino 6.5L V8. 1970-1972 Chevrolet El Camino 6.6L V8. 1970-1974 Chevrolet El Camino 7.4L V8. 1967-1969 Chevrolet Camaro 6.5L V8. 1970-1972 Chevrolet Camaro 6.6L V8. 1969 Chevrolet Camaro 7.0L V8. 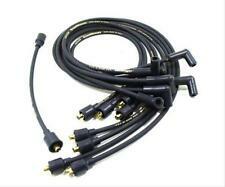 SPARK PLUG LEAD SET 1996/1998. CHEVROLET ASTRO 1996-1997. CHEVROLET BLAZER 1996-1997. CHEVROLET C1500 PICKUP 1996-1997. GMC C1500 PICKUP 1996-1997. GMC JIMMY 1996-1997. GMC K1500 PICKUP 1996-1997. CHEVROLET K1500 PICKUP 1996-1997. 1985 Chevrolet C20 2 W.D. Pickup 454CI 7.4L V8. 1985 Chevrolet C20 2 W.D. Suburban 454CI 7.4L V8. 1985 Chevrolet C30 2 W.D. Pickup 454CI 7.4L V8. 1985 GMC C3500 2 W.D. Pickup 454CI 7.4L V8. 1985 GMC C2500 2 W.D. Pickup 454CI 7.4L V8. 2000-2002 Pontiac Firebird 231CI 3.8L V6. 2000-2002 Chevrolet Camaro 231CI 3.8L V6. Ignition Wire Set. Standard Motor Products. DAEWOO 96 288 956. DAEWOO 96256433. CHEVROLET 96 288 956. CHEVROLET AVEO Tre volumi (T250, T255) 1.2 53 03.2006 - 12.2007. NGK RC-DW1202. CHEVROLET AVEO Tre volumi (T250, T255) 1.2 62 01.2008 -. CHEVROLET AVEO Tre volumi (T250, T255) 1.2 55 01.2008 -. 1989-1992 Chevrolet Camaro 305CI 5.0L V8. 1989-1992 Pontiac Firebird 305CI 5.0L V8. 1989-1992 Chevrolet Camaro 350CI 5.7L V8. 1989-1992 Pontiac Firebird 350CI 5.7L V8. Ignition Wire Set. 1989-1993 Chevrolet Caprice 305CI 5.0L V8. 1982-1985 GMC S15 Pickup 1.9L L4. 1983-1984 GMC S15 Jimmy 1.9L L4. 1982-1985 Chevrolet S10 Pickup 1.9L L4. 1983-1984 Chevrolet S10 Blazer 1.9L L4. Ignition Wire Set. Standard Motor Products. Engine vin code 'A'. GMC SAVANA 1996-2002 5.0L V8, 5.7L V8. CADILLAC ESCALADE 1999-2000 5.7L V8. GMC YUKON 1996–2000 5.7L V8. Spark plug wire set. CHEVROLET C1500 (SUBURBAN) 1996-1999 5.7L V8. CHEVROLET C2500 (SUBURBAN) 1996-1999 5.7L V8. 1988-1991 Chevrolet C1500 2 W.D. Pickup 262CI 4.3L V6. 1988-1991 GMC C1500 2 W.D. Pickup 262CI 4.3L V6. 1986-1991 Chevrolet Astro 262CI 4.3L V6. 1986-1991 GMC Safari 262CI 4.3L V6. Ignition Wire Set. 1988-1991 Chevrolet C2500 2 W.D. Pickup 262CI 4.3L V6. 1987 Pontiac Firebird 305CI 5.0L V8. 1988 Pontiac Firebird 305CI 5.0L V8. 1987-1988 Pontiac Firebird 350CI 5.7L V8. 1987 Chevrolet Camaro 305CI 5.0L V8. 1988 Chevrolet Camaro 305CI 5.0L V8. 1987-1988 Chevrolet Camaro 350CI 5.7L V8. 1989 Chevrolet R3500 2 W.D. Pickup 454CI 7.4L V8. 1987-1988 Chevrolet R30 2 W.D. Pickup 454CI 7.4L V8. 1987-1988 Chevrolet V30 4 W.D. Pickup 454CI 7.4L V8. 1987-1989 GMC R3500 2 W.D. Pickup 454CI 7.4L V8. CHEVROLET ASTRO in years 1996-2005, with. - GMC SAFARI VAN in years 1998-2005 with. -CHEVROLET BLAZER in years 1998-2005 with with. BT, KW, IV, PH, HS, KA, ZE, PA, AB and OBAN. This is HIGH QUALITYHT LEAD (WIRE) SET for. Zündkabel Satz. Chevrolet Avalanche 1500 5.3L V8 2002 - 2006. finden Sie auf der. Fahrzeuge mit quadratischen Zündspulen! Ignition Wire Set. 1990-1991 Chevrolet R3500 2 W.D. Pickup 454CI 7.4L V8. 1990-1991 Chevrolet V3500 4 W.D. Pickup 454CI 7.4L V8. 1990-1991 GMC R3500 2 W.D. Pickup 454CI 7.4L V8. 1990-1991 GMC V3500 4 W.D. Pickup 454CI 7.4L V8. 1994-1995 Chevrolet C3500 2 W.D. Pickup 350CI 5.7L V8. 1994-1995 Chevrolet C1500 2 W.D. Pickup 305CI 5.0L V8. 1994-1995 Chevrolet C1500 2 W.D. Pickup 350CI 5.7L V8. 1994-1995 Chevrolet C2500 2 W.D. Pickup 305CI 5.0L V8. 1988-1993 Chevrolet C3500 2 W.D. Pickup 350CI 5.7L V8. 1988-1993 Chevrolet C1500 2 W.D. Pickup 305CI 5.0L V8. 1988-1993 Chevrolet C2500 2 W.D. Pickup 305CI 5.0L V8. 1988-1993 Chevrolet C1500 2 W.D. Pickup 350CI 5.7L V8. 1971-1974 Chevrolet Vega 2.3L L4. 1969-1970 Chevrolet Nova 2.5L L4. 1962-1968 Chevrolet Chevy II 2.5L L4. Ignition Wire Set. Standard Motor Products. G10 G20 G30 G1500 G2500 G3500. GMC G1500 1992-1993. GMC G2500 1992-1993. CHEVROLET G30 1992-1993. CHEVROLET G10 1992-1993. CHEVROLET G20 1992-1993. V8 IGNITION SPARK PLUG WIRE LEAD. CHEVROLET GMC 1992-1993. Neuer kompletter Silicon-Zündkabelsatz. Teil ist passend für Chevrolet Spark 1,0 1,2, ab Bj.